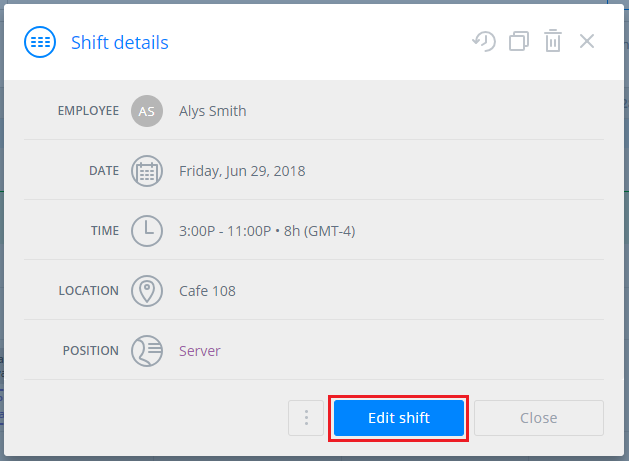 ​How do I edit a recurring shift? Click the first shift you would like to change to open the details. In the popup window, click the Edit shift button. Once you have edited the shift as needed, you have two options. Click Save to apply your changes, but keep them unpublished. Click Publish to apply your changes and also make them visible to employees. You’ll then get a prompt to apply the change to just this shift or all future shifts. Select All future shifts to change all the remaining shifts in the recurrence. Please note: the Publish option will only publish shifts in the current view. For example, if you are viewing the calendar by Week, only the recurring shifts in the current week will publish while future weeks will remain unpublished. 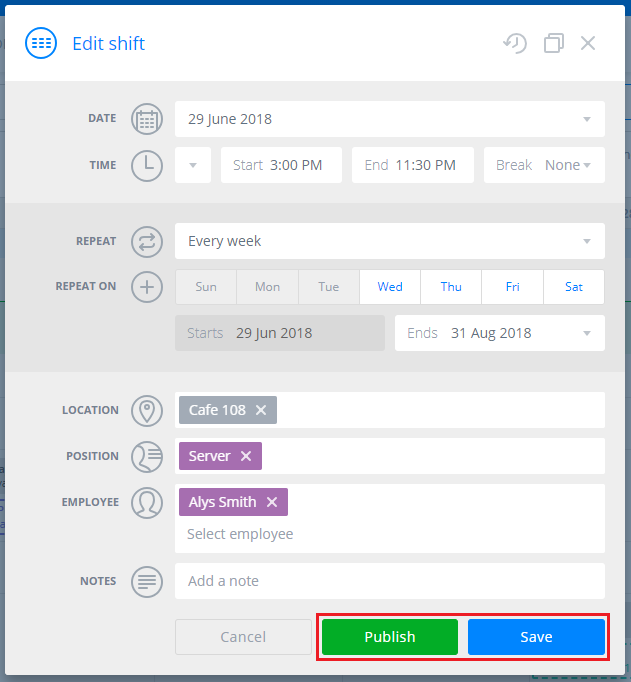 If your future weeks are already published, editing them in this manner will show an old version of the shift to employees until you publish future weeks.